Why Make Reforms So Complicated? Why Make Reform So Complicated? In the realm of organizational improvement, complexity kills. 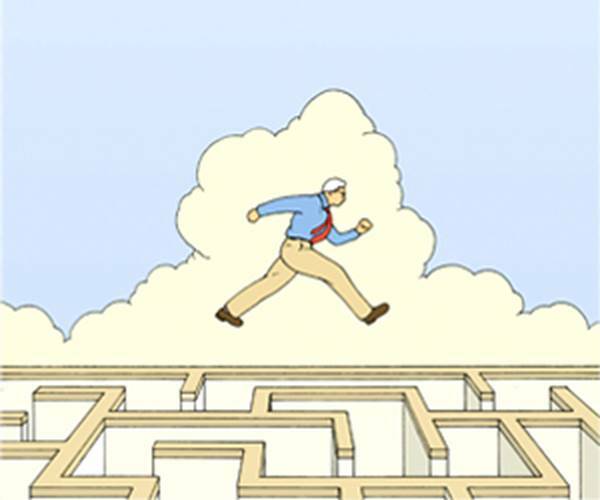 It demoralizes employees and distorts the critical connection between effort and outcomes. It is the enemy of the most indispensable elements of improvement: clarity, priority, and focus. That is the message of multiple prominent studies, from Jim Collins' 2001 best-seller Good to Great to more recent books like The Laws of Simplicity, by John Maeda, and Simple: Conquering the Crisis of Complexity, by Alan Siegel and Irene Etzkorn. These experts implore us to simplify: to prioritize, minimize, and employ only the clearest language in the service of focus. Only this will allow teams and individuals to understand, practice, and perfect those few, highest-priority skills and actions that are most critical to progress. Education clearly doesn't get this. Perhaps no enterprise is more crippled by complexity than school improvement. For two decades, I've worked with educators in every kind of school and district. For every major initiative, a common theme emerges: There is simply too much to do, and most of it is maddeningly ambiguous and confusing. Maybe it started with state-mandated strategic planning, which produced those book-length, jargon-laced documents with their impossibly long bulleted lists of goals, tasks, and action plans—which turned out to have no substantive effect on teaching quality. Then came the standards movement. As John Maeda wrote, the first law of simplicity is "Reduce." We didn't get the memo: After state standards documents were launched and hardened into law, it was discovered that it would take about 20 years to teach all the skills and topics contained in them. But their worst feature was their abstract, imprecise language, which made it hard to convert them into clear, coherent curriculum and lessons. So, too, with the Common Core State Standards. The spirit of this initiative (warts and all) is largely welcome and long overdue: an emphasis on a more authentic literacy and real-world mathematics. But the actual lists of standards and practices were never piloted—ever, by anyone. They are still overlong and abounding in indecipherable abstractions. Siegel and Etzkorn found that long documents written in confusing language are the worst enemy of confident, effective implementation. Officials at the highest levels of both the English/language arts and math common core have admitted to me that there are still too many standards, and that much of the language is still mystifying—fraught with the potential for improper practice. Indeed, the ELA common core deserves praise for developing, however belatedly, the much clearer, more concise "three shifts," which (if practitioners would realize it) rescues them from having to teach to the inanities of the long grade-by-grade lists. Math teachers tell me that the "eight math practices" of the math common core would likewise benefit from a serious rewrite and reduction and from much clearer guidance on which practices are best applied to which math standards. Our standards documents contributed directly to the confused state of our (so-called) "curriculums." I've reviewed curriculums with hundreds of teachers, leaders, and central-office administrators, in some of the largest districts in the United States. In almost every case, we discovered that these documents are virtually unusable. Today's curriculums are typically a riot of moving parts, of columns and boxes packed with ambiguous terms and buzzwords, "big ideas," and long lists of ill-conceived "suggested" activities, resources, "differentiation strategies," technology integration, assessment ideas, and readings of wildly varying length and quality, all replete with long, cryptic lists of alphanumeric references to state standards covered. They are visually and conceptually bewildering. Within minutes of these reviews, even the curriculum people admit to how confusing the curriculums are, that they themselves wouldn't know how to translate them into lesson plans. This probably explains what the curriculum directors and I see in the classroom tours we conduct before the curriculum review: a profusion of worksheets and aimless group activities, but little evidence that teachers are using the official curriculum. All this pedagogic complication and accretion found its way into teacher evaluation (of which I've written in these pages). Done right, good evaluation criteria could greatly clarify good instruction and thus promote its improvement. But the most popular teacher-evaluation templates and rubrics bury or entirely ignore the most critical elements of good instruction. As The New York Times reported in an article last year, teachers in Tennessee were responsible for addressing as many as 116 criteria in multiple domains, with no hint of their relative priority or effectiveness. This has corrupted lesson planning itself, as teachers (as I've been seeing) are feeling that they must submit elaborate, multipart, five- to seven-page technology-drenched lesson plans concocted to address the innumerable evaluation criteria. Sadly, most of these lessons still lack the elements most critical to success (which I'll describe in a moment). The best lessons I've ever seen are simple, low-tech affairs that could be described in half a page. "Perhaps no enterprise is more crippled by complexity than school improvement." And that, according to the experts, is the real cost of complexity: It prevents us from perceiving the simplest, but most effective practices and then focusing our limited time and energy on mastering them, one at a time. We know, for instance, that a very straightforward, coherent, content-rich curriculum—abounding in opportunities for purposeful reading, discussion, and writing—may have more impact on achievement than any other factor. But such curriculum is found in only a tiny minority of our schools. And we know how to deliver such curriculum. There is overwhelming agreement that effective instruction has a very simple structure at its core. It starts with a clear purpose or objective and an assessment aligned with that objective. It is followed by an ongoing cycle of teaching in small, manageable steps, punctuated with frequent, informal assessments of learning for each step—e.g., by circulating to observe student work, with reteaching when necessary—all with the aim of ensuring that all students succeed on every phase of the lesson until they are ready to successfully complete the assessment or assignment. But, like effective curriculum, such instruction is rare in the extreme, even though both are within reach of any school that makes them a priority. The transition to simple, priority-driven school improvement might require a kind of civil disobedience: a refusal, by a critical mass of educators, to implement anything unless it has been adequately piloted, amply proven, and then made clear and simple enough for educators to learn and implement successfully. If we insist on such conditions, we will move forward at a rate not seen before. Mike Schmoker is an author, speaker, and consultant. His most recent book is Focus: Elevating the Essentials to Radically Improve Student Learning (ASCD, 2011). He can be reached at schmoker@futureone.com.